DIN 7967 Pal Nuts from China manufacturer. 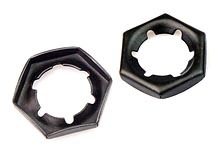 it also known as Self-locking Counter Nuts, Self-lock pal nuts. M6-M30 available.